Kayak fishing is still one of the fastest growing segments of the angling community, and stand up paddleboarding is following its footsteps. What started off as a simple recreational sport is being transformed into another method of catching fish. This type of fishing is eco-friendly and can be done on a very low budget. It also simplifies the sport and gets the angler back to the basics of human vs. fish. 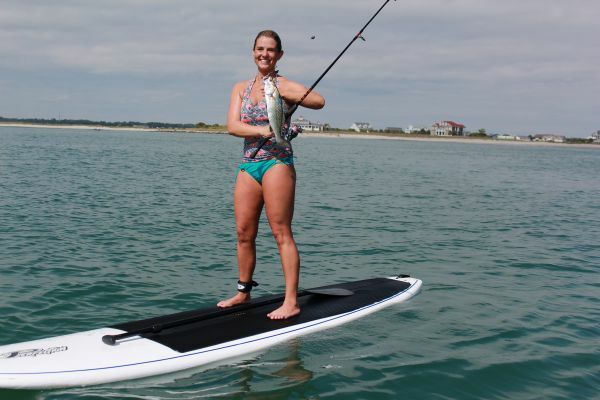 Sarajane Marshall of Charleston spent a recent morning paddleboarding the Murrells Inlet area and decided to pick up a fishing rod which led to a nice keeper seatrout on the end of her line.